Which martial art is the best martial art? 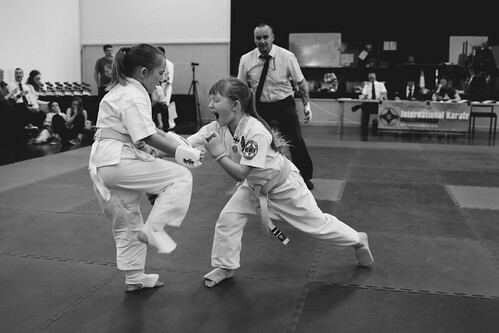 We need to consider a couple of things before deciding which martial art is the best martial art. So first and foremost what is your purpose for practicing the martial art? Is it to defend yourself in the streets or to go out in the ring and win matches? If you’re going to use it on the streets, it should be something that is more close range and that has a lot of hitting mainly because wrestling on the street, or grappling is actually a better word for it, is not safe because your enemy may have a knife or they could be stronger or heavier than you. There’s no weight class when battling on the street. So a martial arts that focuses on hitting and joint locks and lots of joint manipulation, especially small joint manipulation is key for a good martial art that is suitable for the streets! If you’re going to go for the ring, you can choose any martial art that you want to choose based on your preferences. For example, if you’re a hitting person like me then go for western boxing. And if you’re grappling a person then go for something like wrestling or jujitsu. So that’s kind of up to you, you know? First things first, practice makes perfect. So even if you’re doing the best martial art out there that is created by aliens, if you are not practicing hard enough then you’re not going to be any better than someone who doesn’t study martial arts at all. So practice, practice, practice! Another thing to keep in mind is that quantity is not always good, so just practicing three times a day for 6 days is not good because you also need to recover; your neurons need to learn the movement patterns, stuff like that. Something I get a lot is “Is boxing or kung fu better?” Well it depends, whoever practices more will win. Of course there are some advantages to both martial arts. For example, a boxer would be better with angles, a kung fu guy would be better with kicks and different fist strikes and different joint manipulations. Another thing to consider is ranges. You’ll need a martial art for each range. So there is a kicking range, a punching range, elbow and knee range, grappling range, and ground fighting range. When it comes to kicks there’s no better martial arts better than Kung Fu types and taekwondo. Also lots of Muay Thai, American style kickboxing and French kickboxing. So practice a combination of these. For the punching range there’s no better punching sport than boxing. Practice your jabs, your crosses, your hooks, upper cuts, your hooks to the body, body shots, everything. Also learning some type of Kung Fu is going to help you because they have all kinds of fist strikes. Practicing using your elbows and knees are going to help you in close range battles tremendously because when someone is trying to stab you with a knife and comes close to you and you can’t kick them the only option is to elbow them. By protecting your body at the same time or knee them in the groin because that’s the safest option. For the grappling range, which is when someone really gets close to you and tries to throw you to the ground or tries to get you into a joint lock, Brazilian jujitsu and wrestling are really good for these types of situations. Other than that you could also use Judo for throws because if you are good at throws then you’re going to devastate your opponent and just break them. To put this all together the idea is that you will create a new type of mixed martial art of your own. There’s a quote from Bruce that says “absorb what is useful, discard what is useless and add what is specifically your own.” So if you take that advice, you will learn martial art skills that will be best suited for you that can be used on the street.